I went to Costco last week with small one and she spotted kiwi’s. She loves kiwis. I don’t love the enormous size of containers that they offer of fruit. However, how can you say no to a two year old begging for fruit? She’s always been a fruit girl but even more so now she’s obsessed with the ‘Monkey Pre-school lunchbox’ app that I have on my phone. But back to the large containers. You see, Kristen (frugalgirl) has this awesome reminder each week to not waste food and fruit goes off pretty quickly and kiwi isn’t something that I usually think about in anything other than a fruit plate or yogurt parfaits. 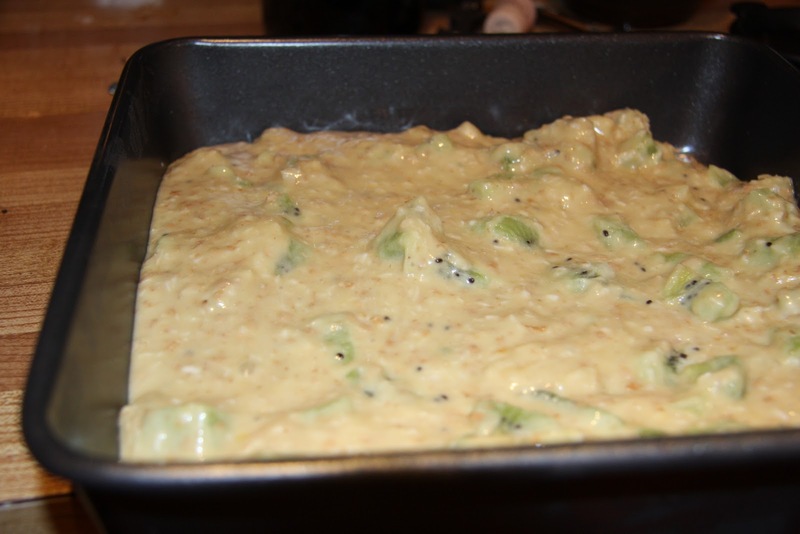 I found a recipe for kiwi muffins that sounded great but I couldn’t help but tinker with a bit. 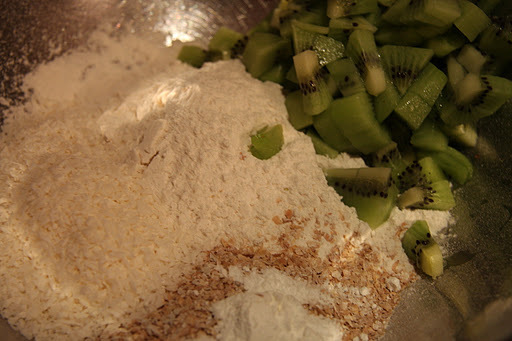 I took: 1 1/2 cup flour, 1/2 cup bran, 2 cups of kiwi, 1/4 cup coconut (unsweetened), 1/2 tsp. baking soda and 1 1/2 tsp. baking powder. Mix to coat the fruit in flour (the chunks won’t sink to the bottom then). 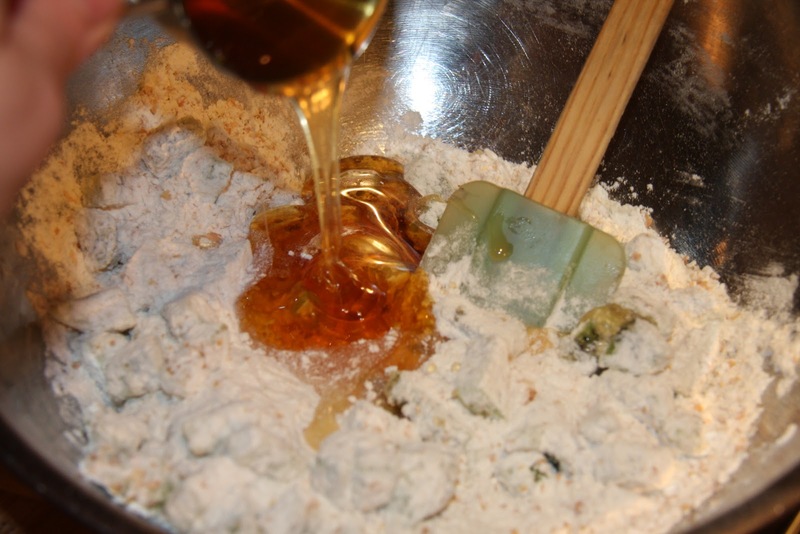 Added: 1/2 cup honey, 1 egg, 1/4 cup canola oil and 1/4 cup milk. Mixed until just combined and poured into a greased or non-stick 9X9 pan. Baked until golden (about 20 minutes at 330 degrees). Don’t forget about my ‘Beat the Winter Blues’ party on Saturday. It is my first ever bash and I’m like a kid in high school worried that no one will come to my birthday. 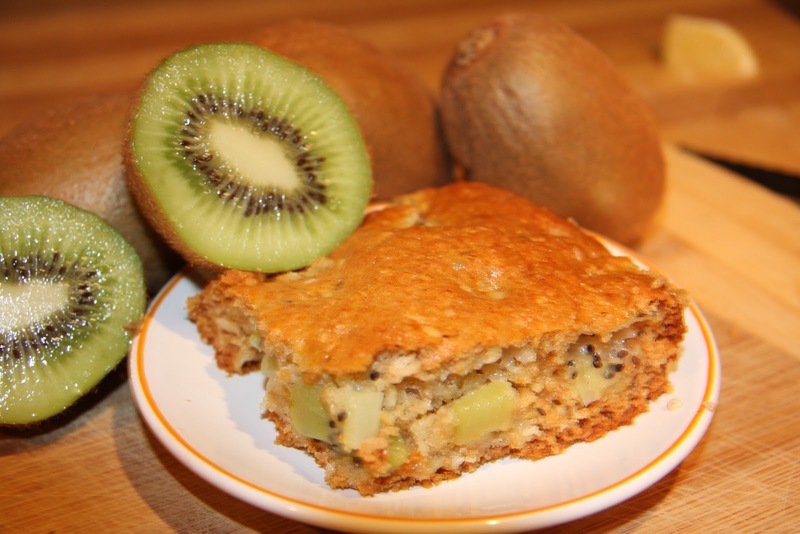 I've never even thought to use kiwi in baking! Tt sounds delicious!